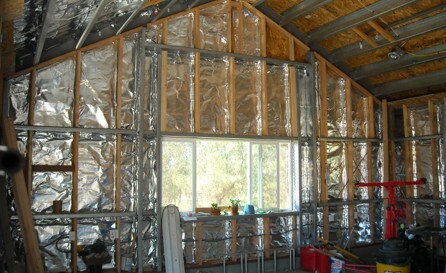 This customer has a 960 sq ft detached garage that is steel framed and conventionally finished. 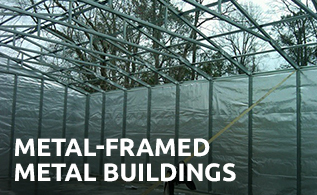 The customer decided to use WareHouseFoil™ to help temper the heat load of this conditioned structure in the summer. 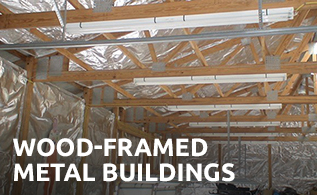 Install Details: The foil was stapled directly to the OSB sheathing in between the framing (since the cavities would not have any insulation, the foil would use emissivity to block 97% of the radiant heat transfer). 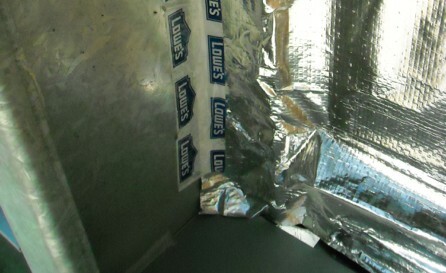 The customer used house wrap tape to add the foil to the metal framing where applicable. 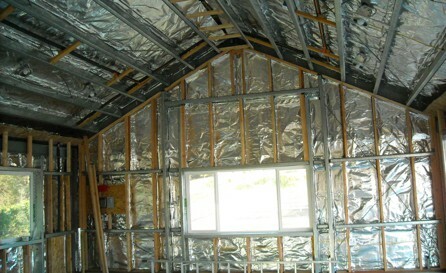 Finish: The customer finished the space with traditional sheet rock and can lighting to create a cleaner look overall. 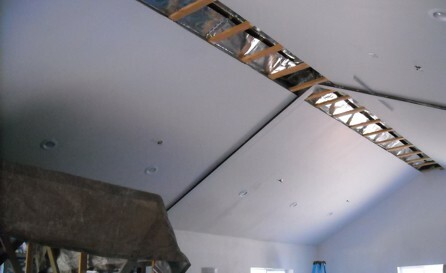 Results: The effect was felt immediately (during the installation). The garage is now within a few degrees of ambient temp on a hot day.